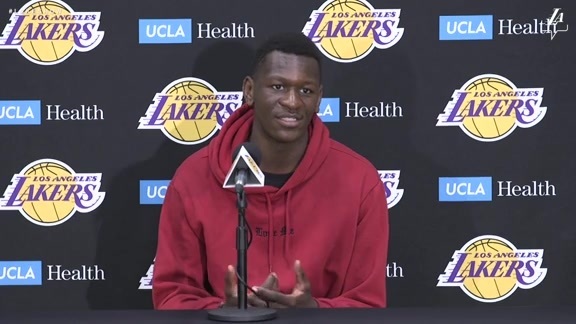 Josh Hart speaks at his end of season interview on April 10, 2019. 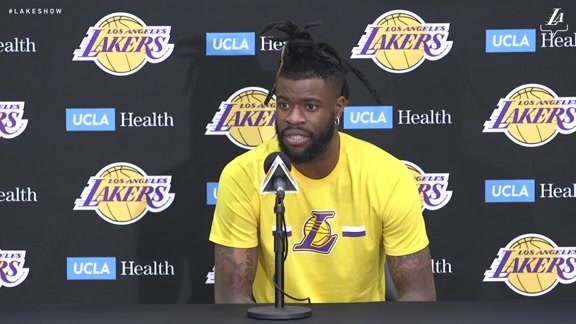 It's been another wild year for the Lakers, who looked back on the recently-completed 2018-19 campaign at annual end of season interviews. While none of the front office, coaching staff or LeBron James spoke, there was still plenty revealed during the session. Brandon Ingram and Josh Hart gave insight into their injury recoveries, while the rest of the roster touched on a variety of subjects, including year one with LeBron.